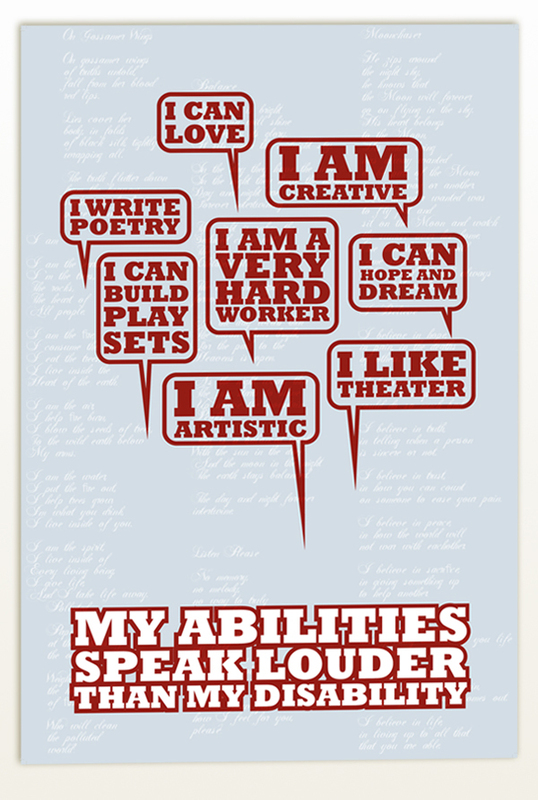 The Access Gallery + Studio at VSA Arts of Colorado conducted the “Special Needs Poster Project” GIVING VOICE. In this collaborative project, young people with disabilities were paired with a professional graphic designer. The only parameters were the vision of the young people and the talents of the designers. The posters presented are the end result of a joint project of VSA arts Colorado, Colorado Cross Disability Coalition and AIGA Colorado. This entry was posted in design project, graphic, visual communication. Bookmark the permalink.